There’s a small chance The Final Wager is an alternate-universe version of How I Met Your Mother, with Keith Williams as Ted Mosby – so I need to be careful when I suggest bizarre baby names on air. Before we begin, did you catch Alex’s cameo on the final episode of The Colbert Report? He plays what appears to be a gatekeeper to television heaven. Anyway, we’ve got a straightforward scenario. David is out of it, but has a shot at second place – if he plays his cards right. If Kurt doubles his score, he’ll have 27,600. To cover this all-in wager, Kevin will need to wager 2,600. An incorrect response with that wager will leave Kevin with 22,400. 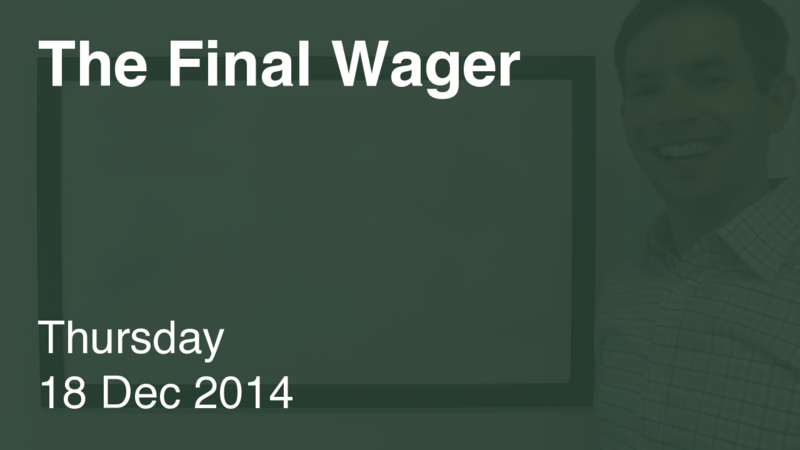 To get above his total, Kurt must wager at least 8,600, but he might as well go all in. A miss with that bare minimum will leave Kurt with 5,200. To ensure he takes second, David should cap his wager at 399 (I feel comfortable removing the dollar right now). A successful doubling will put David at 11,200. 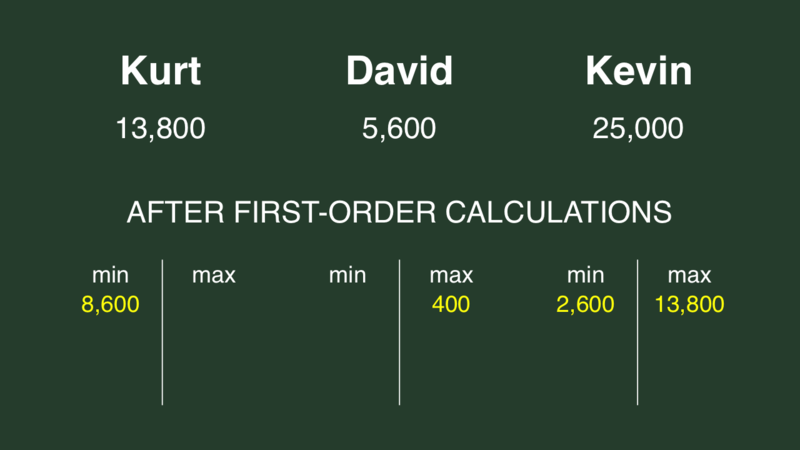 Kevin could wager at most 13,800 to stay above that, should he desire to put a lot on the line. 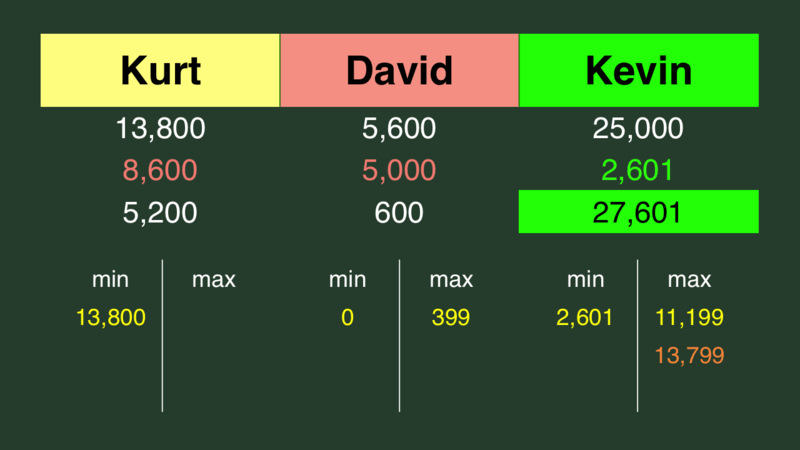 If he’s afraid Kurt won’t play rationally, Kevin might cap his maximum wager at 11,200. David tosses away an extra grand for no reason. Also, did you catch that category “A LITTLE T & A”? C’mon, writers – at least when you were making the “D” jokes, they could be taken more than one way.